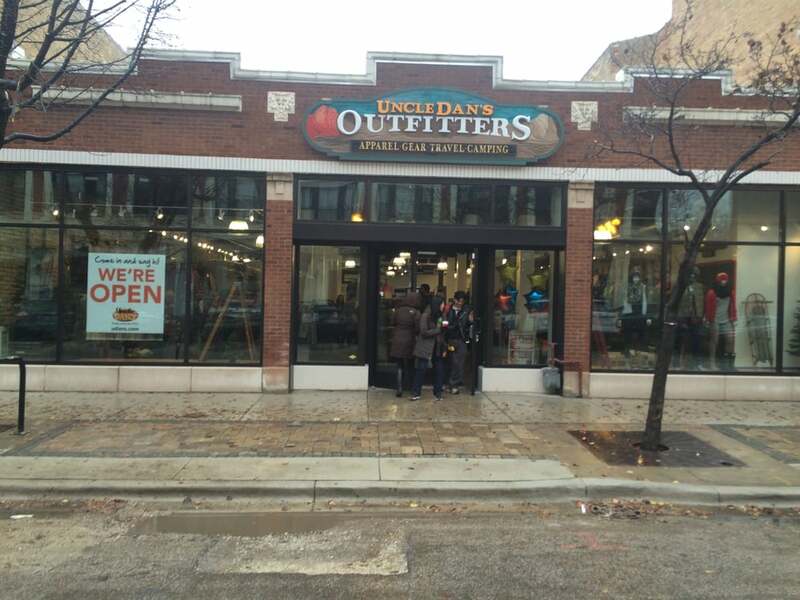 Uncle Dan’s Outfitters locations have had a heckuva problem in our area this holiday season. On Black Friday, a shoplifting mob hit the sporting goods store’s Southport location. The shop lost four Canadian Goose coats worth $500 to $1,700 each in the raid. 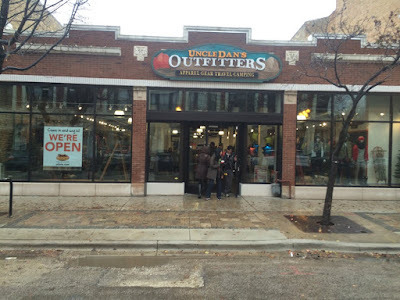 Now, Uncle Dan’s location in Lincoln Square has been targeted twice in two days. Around 4:30 this afternoon, a group of four teenagers entered the store, and each took a Canadian Goose coat valued at $1,000 each. The crew battered a store worker who tried to intervene. They fled in a four-door Chevy that is registered to an address in the Grand Crossing neighborhood. Yesterday, two people entered the store around 2:30 p.m. and started trying on coats, police said. The offenders then cut a cord that connected the jackets to a wall and fled the scene in a dark-colored SUV. The suspects were described as a 25- to 29-year-old black man who stands about 5’10” tall and weighs about 170 pounds with a black female, 25- to 29-years-old 5’5” tall and 125 pounds. Sponsor CWBChicago for as little as $4.08 a month to receive exclusive reports and services.